We are on holiday until the beginning of the new year. Please note that we will answer all questions when we return. 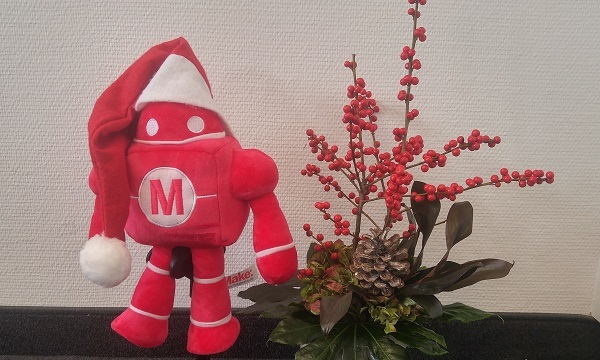 We wish you all a wonderful Christmas time and a Happy New Year! Call for Makers is open now! Do you want to present your own idea for free? Use the Maker Faire as a big platform for your project. Would you like to exchange ideas with others about your field of interest? Network with the community on the Maker Faire. You are just not getting ahead with your project or you need expertise from other areas? Exchange ideas with other makers on the Maker Faire and learn completely new things. Call for Makers: Show your project in Berlin! Are you the technical, creative, crafting, artistic and/or researching type and want to show your project to the public? Do you want to meet hundreds of other makers, socialize and share and enlarge your knowledge? 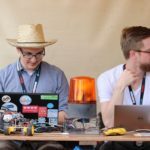 Show your project at Maker Faire Berlin, May 25–27, 2018! 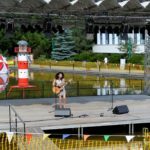 At the third Maker Faire Berlin in 2017, almost 15,000 visitors were inspired by creative DIY ideas. Whether your interest is in technology or crafting, no matter if it’s a hobby, your job or your research, whether you tinker at home, at your local maker space or at school: At Maker Faire you will meet like-minded makers and a large audience. Sign up for your free booth until March 15! Maker Faire is the hands-on festival. We are especially looking forward to makers who want to teach the audience and other makers: At your booth or in our workshop areas, you can offer your own hands-on workshop for all visitors, either for free or for a fee. Is your colleague a secret knitting hero? Your sister programs robots? Your son’s school has a tech club? Your friend builds her own furniture? (etc.) All of that and beyond needs to be at Maker Faire Berlin! Questions? Not sure if you dare to sign up? Unsure about how and what to present? We’d love to help you: just send us a message or give us a call! 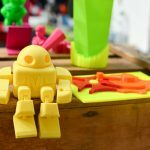 Es geht weiter, und jetzt können wir euch auch sagen, wann und wo: Die zweite Maker Faire Berlin wird vom 30. September bis 2. Oktober stattfinden, und zwar in der Station Berlin! Im Postbahnhof war es zwar sehr schön, aber da haben wir dieses Jahr nur knapp mit Zusatzzelt reingepasst, daher mussten wir uns nach einer neuen Location umsehen. Auch die Station ist ein ehemaliger Güterbahnhof, passt also mit ihrem urbanen Fabrik-Style bestens zum Festival. 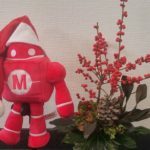 Und noch eine Sache wird sich ändern: Statt über ein Wochenende wird die Maker Faire 2016 erstmals über drei Tage stattfinden: Wir nehmen den Freitag vormittag für Schulklassen hinzu, und planen außerdem für den Nachmittag eine Konferenz von und für Maker, und die Chance, sich in Ruhe miteinander zu vernetzen. Für Otto Normalbesucher ändert sich wenig: Samstag und Sonntag sind die Publikumstage, wie es auch dieses Jahr schon war. 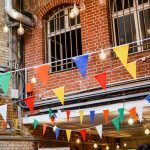 Der Call for Makers für Berlin läuft, wir freuen uns ab sofort also auf eure Anmeldungen für einen Stand sowie Vorträge und Workshops! Hier gibt es noch eine wichtige Änderung: Maker, die an ihrem Stand nichts verkaufen, können komplett ohne Standgebühren ausstellen. Wir hoffen, dass sich dadurch noch mehr Leute trauen, ihre tollen Ideen vorzustellen. Online now: All the makers, talks and workshops! Do you want to know who will be exhibiting in Berlin? We’re happy to welcome about 120 booths by makers, projects and companies at Maker Faire. The list at makerfaire.berlin/maker is still growing! Start planning your day(s) at Maker Faire: Our complete time table of talks and workshops is online as well. Note: Some workshops have a limited capacity so make sure to reserve a spot soon. 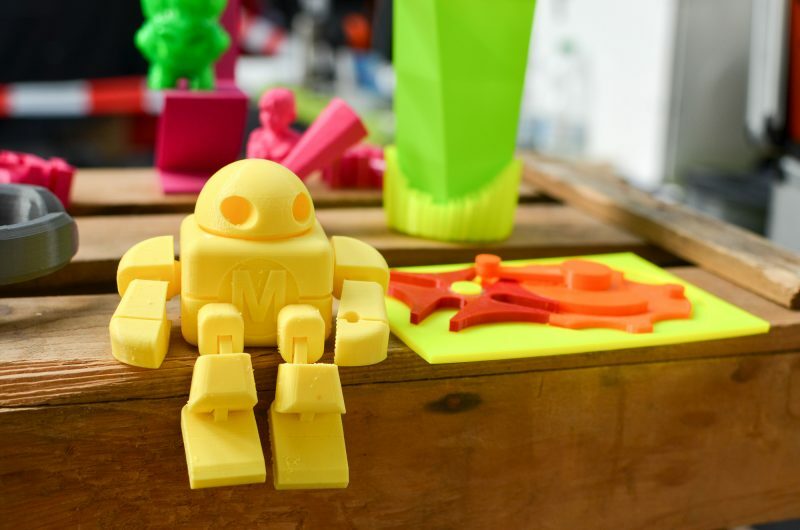 If you’re planning to visit Maker Faire Berlin, you can now pre-order tickets online and save some Euros compared to the box office prices. We have single day passes for either Saturday or Sunday and weekend passes for admission on both Maker Faire days. There are discounted tickets for families, young people, pupils, students and senior citizens, as well as group offers for school classes and other groups. 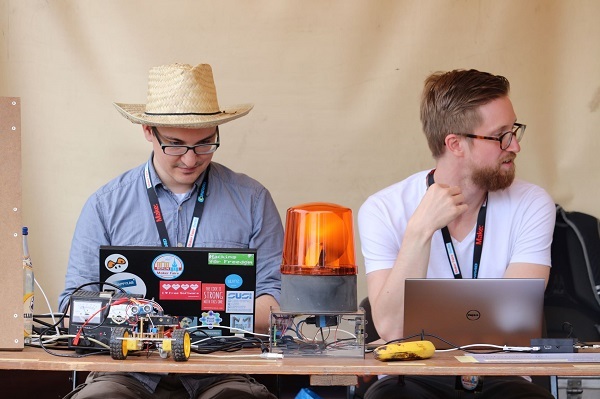 The Maker Faire team presented the festival in Berlin on April 9. Dale Dougherty, creator of Make Magazine and founder of Maker Faire, talked about the 131 Maker Faires that took place all over the world in 2014. The event video was filmed by the team from www.kamera-gimbals.de using an electronic camera gimbal of their own design. Thank you! It was about time: We’ll dare to venture outside of Hanover and take the Maker Faire to Berlin. 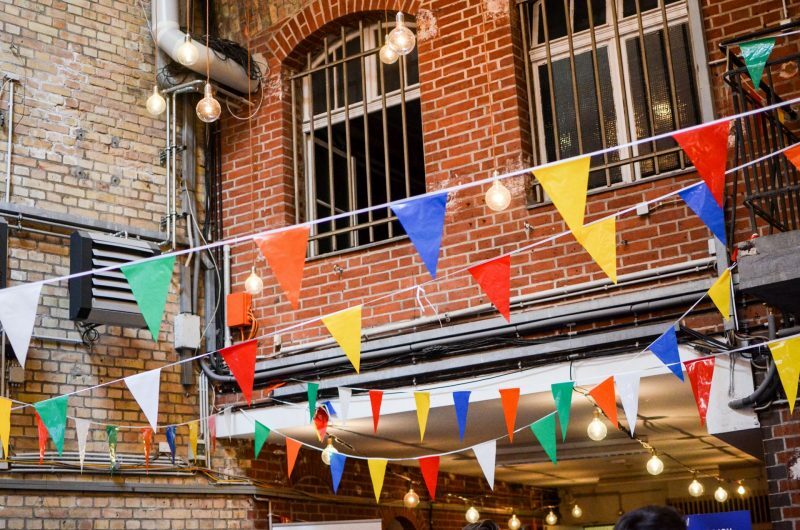 On the first October weekend, the historic Postbahnhof am Ostbahnhof, a former railway station, will become the international hub of the maker movement. We are quite excited what the makers of Germany’s capital will contribute to this event. We’re looking forward to veteran hackers meeting young hardware start-ups and wearable electronic artists meeting kids at their first soldering lesson. We’re eager to see the eyes of every visitor light up when they see the crazy, blinking, noisy congregation that is Maker Faire. 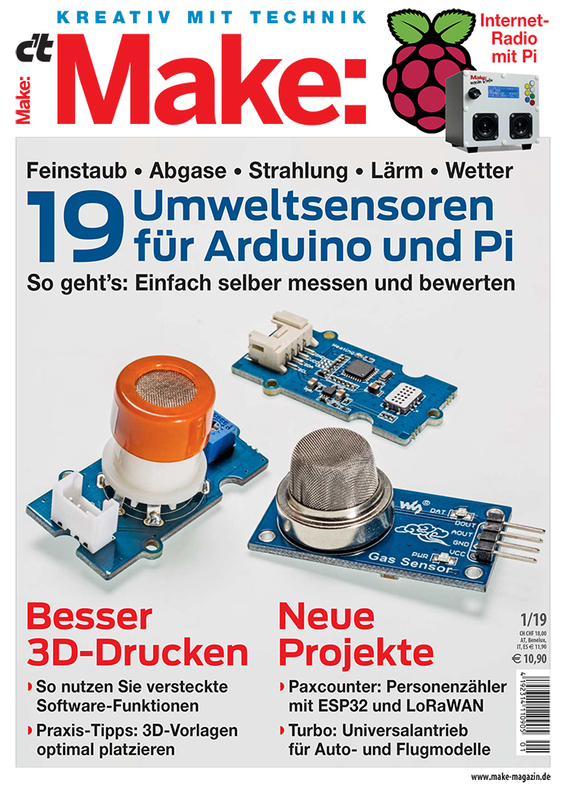 Our Call for Makers (form is in German only, for now) is up and running until July 12. That sounds like ages from now, but if you definitely want to take part, don’t wait until the last moment to commit. We’re also looking for volunteers already, so if you want to help for free entrance and goodies, let us know. 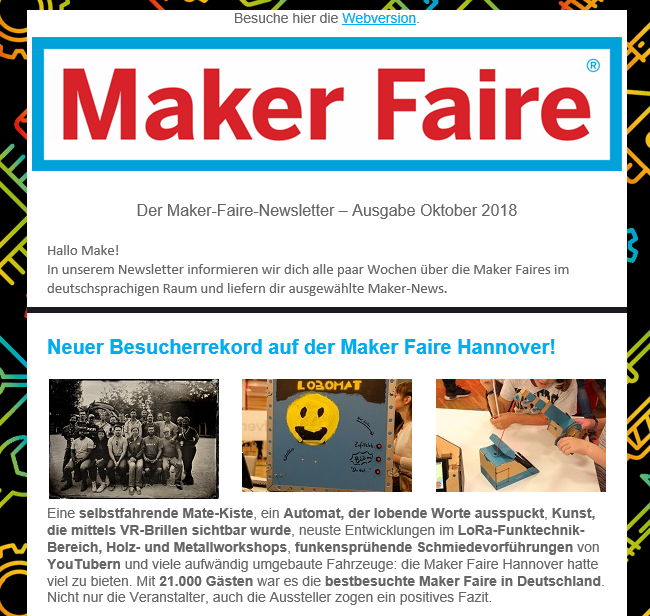 The maker festival for all the family will come to Berlin! More information to follow in February.